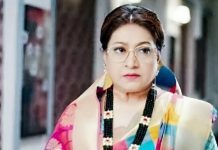 Yeh Rishta Kartik fears for Kirti. Naira confesses to Kartik and surprises him. He can’t celebrate happiness by his heart, since he stays disturbed about Kirti. Kirti gets insecure with Naira’s presence and love for Krish. Naira wants to make the celebrations special. She performs nicely with Kartik and refreshes his old memories. She doesn’t remember anything, but behaves the same way. Naksh stays worried for Naira. He finds her in trouble. Naira and Kirti stay near the fuse box, which catches the fire. The power outage occurs. Naksh and Kartik rush to save their sisters, while the families worry. Kirti proves it to Kartik that Naksh didn’t even see her in trouble area, he has no focus on her and is just worried for Naira. He feels her relation is much affected because of Naira. Kartik understands her insecurities and gets a proof. Naira consoles Krish and doesn’t give him to Kirti, even when the latter asks for him. Naksh also wants Naira to handle Krish. He doesn’t think of Kirti’s feelings. Kartik feels guilty for spoiling Kirti’s life in some way or the other. He didn’t wish his alliance with Naira to spoil Kirti’s happiness. Naksh tells Naira that her happiness matters the most to him. He promises to always secure her happiness. Kartik feels even its his responsibility to secure Kirti’s happiness and fulfill a brother’s duty. Naira tells Kartik that their relation is very much different, since he is always shy than being romantically expressive. Naira tells him that they should live every moment and make memories. She doesn’t want Kartik to act unconcerned. Naira tells him that he won’t be able to get away from her. Kartik is worried for Kirti. He tells her that he loves her a lot. He says even if their circumstances change and put them in trouble, they will always love each other. She doesn’t want him to take any stress. Naira is excited for her marriage. Kartik doesn’t know what step to take. He shares his guilt with Manish. Manish wonders if Naksh has ruined Kartik’s happiness. Kartik tells him that he didn’t inquire about Kirti’s welfare ever. He feels he isn’t a good brother, like Naksh who loves and protects Naira always. He feels Kirti always suffered because of him. He is depressed that he never thought of Kirti’s happiness and insecurities. Manish wants to know if Kirti has complained to him. He praises Kartik for succeeding in every role in life. He asks Kartik not to get upset and stay happy. He wants Kartik to enjoy the marriage functions and not judge himself over the past. Kartik doesn’t want to forgive himself for Kirti’s sufferings. Naira finds Kirti upset and wants to know if she is the reason for her sorrow. She tells Kirti that Kartik was much upset when he left. She wonders if they had any argument. Kirti worries for Kartik. She didn’t wish to spoil his happiness on his big day. She thinks if she has done a mistake to vent out her annoyance to Kartik. Kartik fears for Kirti, when he dreams of her suicide attempt. Kirti loses her child Krish to Naira and takes the extreme step to end her life. This nightmare shakes him up. He fears that Kirti will take this extreme step in reality if she loses Krish. The families are happy that Kartik and Naira are marrying again. Kirti meets Goenkas and tells them that she has come to take haldi for Naira. She tells them that Naira is taking care of Krish. The family doesn’t feel anything wrong and ask her to let Naira spend time with Krish. Goenkas learn that Kartik isn’t at home. Kirti wonders where is Kartik, if he took any wrong move because of her. Kartik meets Naira and breaks the decision that he doesn’t want to marry her. 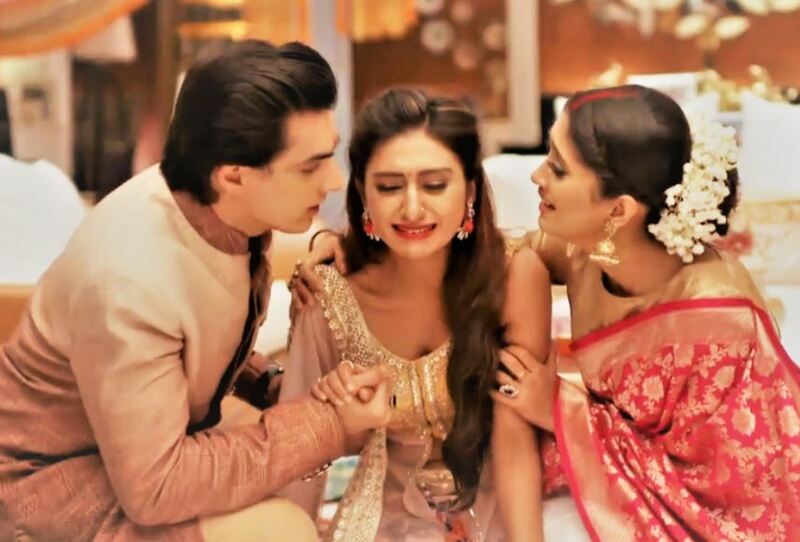 Naira turns sorrowful, and expresses her pain to her family. Naksh and Kirti learn Kartik’s big sacrificing move.